L to R: Luis, Juan Gutierrez, Flor and Juan C. Gutierrez. The art of manipulating metal runs in the Gutierrez family. They've been at it for four generations. 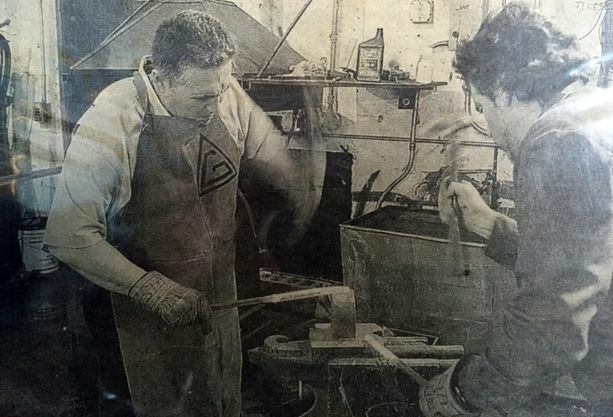 The tradition started with Anselmo Gutierrez, a blacksmith from Cuba who passed on the knowledge and legacy to his children. Today, Gutierrez's grandsons, Juan and Luis, run G. Metal Industries in Northwest Miami-Dade with the help of their sister, Flor. "In Cuba, my dad would take me and my brother, Luis, to work with him," Juan said. "When we came here in 1980, Luis and I started working from our aunt's yard. My father started doing projects for the neighbors, and that's how we got started." Now Juan and Luis are passing the knowledge to their children, who help out in the company. Juan's 26-year-old son, also named Juan, oversees the company's website, marketing and public relations, goes on sales calls with his uncle and also works with the metals. "Since I was 7-years-old, I'd go to installations and help carry stuff," said the younger Juan, who is the fourth generation in his family to work in the industry. "I actually started working on the floor when I was 16, helping to grind metal." The women in the family are also involved in the business. Flor oversees all the office work with the help of Juan's 19-year-old daughter, Florisis. "I answer all the calls, handle the contracts, accounting and insurance and deal with the clients." said Flor, who has been with the company since it started. "My mom used to work with us also, doing estimates and getting measurements for projects." The family credits their success to their many years in the business and an unwillingness to compromise on quality. "We use a lot of old-school techniques; what we produce is art," said the elder Juan. "Due to demand, this industry has been commercialized. While some companies produce prefabricated parts that you can buy from a catalog and put together, we do everything from scratch." Superb artistry, craftsmanship and dedication to quality have landed G. Metal Industries top jobs. It designed and installed a stainless steel gate for the home of Tommy Mottola, who has since moved, and also did work for Madonna's home when she lived in South Florida. "The most important thing is that they spend time to get the concept of what the client needs, and they make sure it's implemented," said Evelio Garavito, a contractor who works with the family. 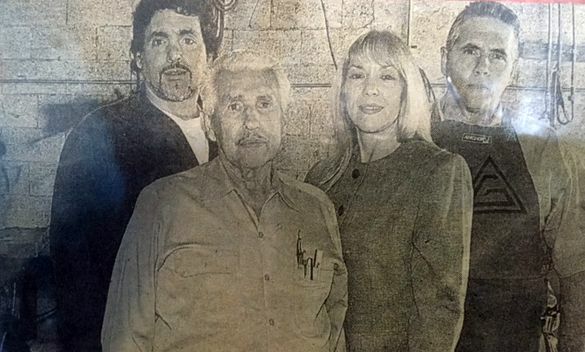 Walter Daggett, the contractor who worked on the Mottola home, turned to the Gutierrez family for the quality of their work. The prices vary according to the size and complexity of the project. An entry gate could start at $10,000, depending on the design, and a spiral staircase could start at $5,000. "This [skill] comes from our family." Luis said. "My grandfather (Anselmo) was a carpenter and a blacksmith who designed furniture and the wheels on horse carriages. The art aspect has come with time, with all the years we've been doing this." 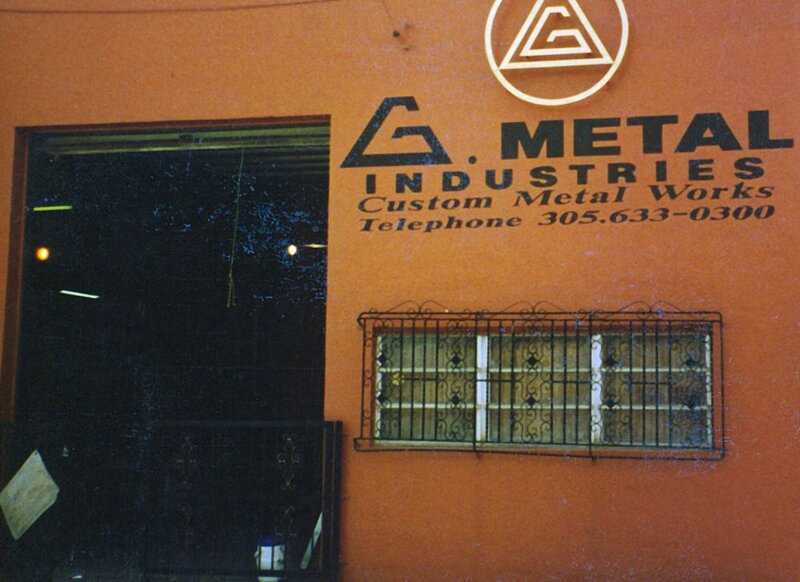 Brothers Juan and Luis have been in the metal business for 25 years. Their 79-year-old father and his 83-year-old brother — the two who learned from Anselmo — still sometimes work for the company. Juan Sr. and Luis are passionate about their creations and are proud of the artistry they acquired through many years of hard work. "Art has to have harmony. It has to look beautiful and not look like it was just put together," Luis said. Added Juan, "It's not just about knowing how to weld and forge the metals. You must have a concept of art to compose. All designs must flow." The Gutierrez designs start with a drawing. The brothers say they get their inspiration from people, architecture and their customers. "You get a feeling for what the client wants; it's almost spiritual. You get inspired and create something," Juan said. The inspiration also comes from one other. "We see each other's ideas clearly, like if it was a movie," Luis said. I really needed high-end work so I went looking for somebody who could do the job right," Daggett said. 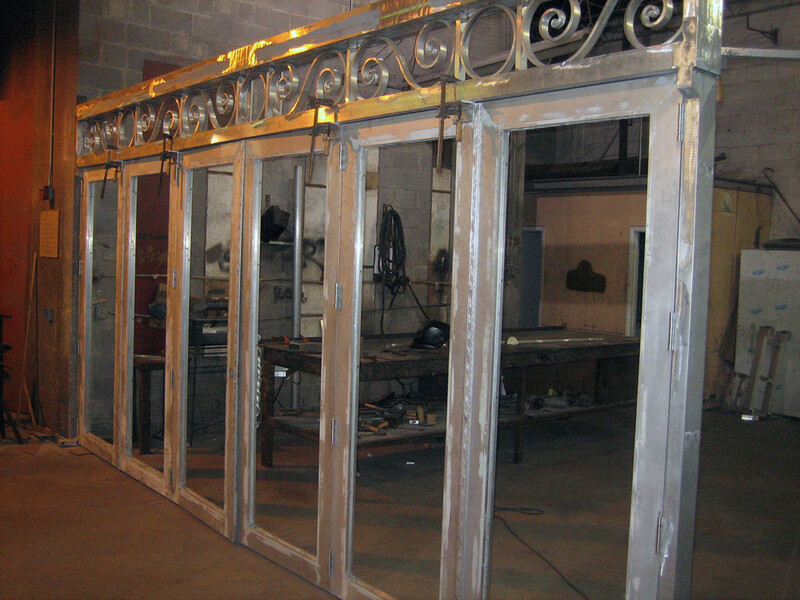 G. Metal Industries, which employs 15 full-time workers, designs, manufactures and installs stair and balcony railings, entry and driveway gates, and monument and spiral stairs. 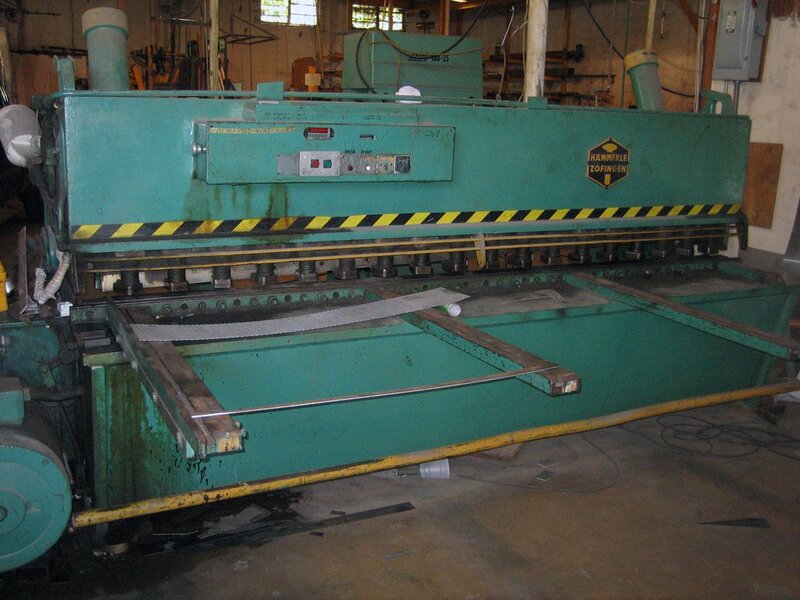 The company also makes metal sculpture, furniture and accessories provides structural steel and miscellaneous metals for residential and commercial projects. 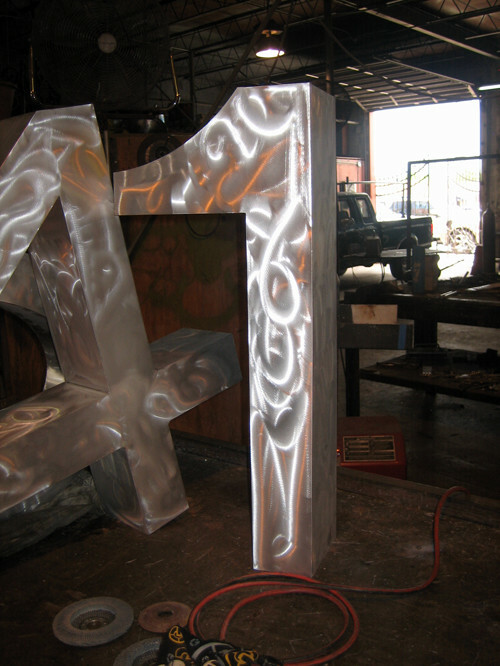 "We do custom work, so every job is different in design," said Juan Sr.
Juan and Luis shaping metal into art. 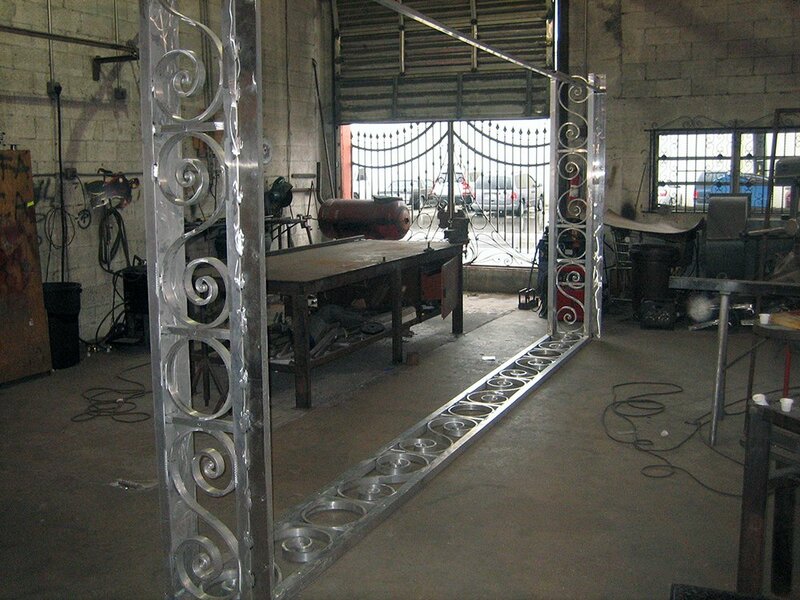 G Metal Industries is an allround metal work shop for select commercial and residential projects. Established in Miami, Florida since 1980, G Metal Corp is the number one choice of prestigious architectural and construction firms in South Florida.